The Learning Kitchen is Greater Cincinnati's premier cooking class destination. Our take on cooking is simple: it should be easy, fun and delicious. Discover Your Inner Chef in our truly hands-on cooking classes, you'll cook at your own cooktop and eat all you cook...no group cooking here! Our State-of-the-Art Kitchen was designed around our educational cooking classes. Whether you're a gourmet chef, seasoned home cook or don't know the difference between a stock pot and a sauté pan, you'll find classes that give you the confidence and skills to cook great food. Our beautiful Kitchen Boutique invites you to touch, linger and ask questions. We encourage you to try products in the kitchen before you buy. It's an exciting, new shopping and learning experience. Mediterranean food is so enticing, and nothing beats the drama of freshly made bread. Balancing savory and tangy flavors of lemon and tzatziki to perfection. 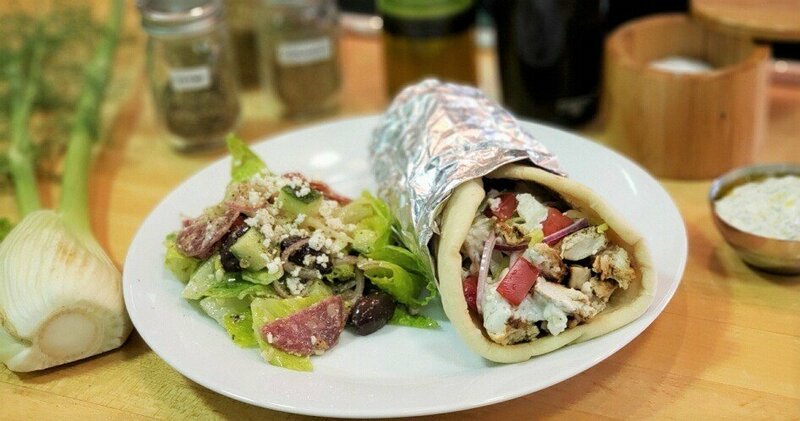 In this class you'll make a Greek salad with a vinaigrette, marinated chicken, handmade flatbread, and everybody's favorite... tzatziki sauce! If you aren't hungry when you walk in, you will be as soon as we turn on the heat. You will definitely not leave hungry as we are making a lot of food! 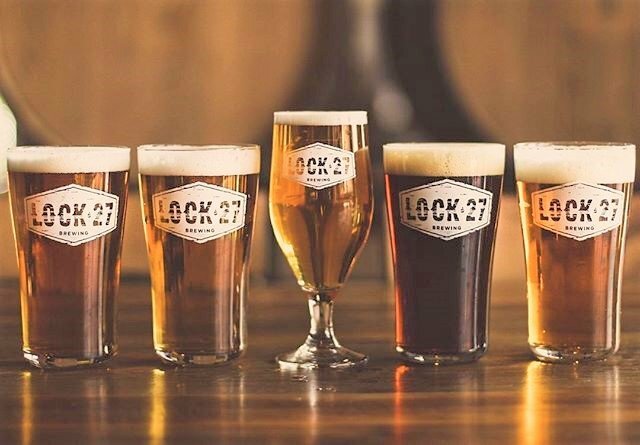 In this class, you'll learn about and taste four of Lock 27's house beers. For each beer, we'll discuss the different flavors we can taste, and how/why we would pair them with certain foods, then we'll cook a dish to enjoy along side that beer. Mouth Breather IPA - This Midwest style IPA combines the citrus hops of the West Coast and the earthy malt backbone of the East Coast. Have you ever really focused in on how to taste and balance flavors in food? Drawing ideas from the book turned Netflix series "Salt, Fat, Acid, Heat" by Samin Nosrat, and using the massive knowledge pool of other books like "The Flavor Bible" we will experiment to gain a better understanding of how we use the 5 tastes to our culinary advantage. As a bonus, we'll finish by "flavor tripping" with miracle berries that turn sour foods sweet!